I am not a big fan of lugging around a backpack full of gear while photographing events. That being said, I have done it ample amount of time and each time I get tired of carrying a backpack around. Even though Nasim makes it very light for me, I end up returning the backpack to the car and walk around with a DSLR, along with one lens. At times, I ask Nasim to carry my gear in his backpack, so that I can change lenses if needed. But this is not practical if we are shooting in two different locations. Getting tired of this situation, I decided to look for a solution. I first came across ONA bags in one of the Facebook photography groups I was part of. The first thing that caught my attention was the design of these bags. Lots of girls do care about what they carry around and so do most men. After-all, what we carry around is our image. This is a review of an ONA Brooklyn satchel, which we ended up purchasing. My first cyber impression of ONA bags started off great. The next step was to determine if one of their bags was something I wanted to carry my minimal but practical equipment in. Out of all bags, the ONA Brooklyn looked like a great match for me and it would fit couple of lenses, a DSLR, and some personal items. What also caught my attention with Brooklyn was how securely I could carry my gear. I read and read about bags which were not heavy to begin with, but they also didn’t have any buckles to hold the equipment secure, which often resulted in bags tipping over with everything in them exposed. I still wanted to be absolutely sure to get the right bag I wanted, so I dragged the decision for some time, until one day Nasim surprised me with the Chestnut version of the ONA Brooklyn for my birthday. I had plenty of time to put this bag to a test and here is what I have so far. Every time I thought about buying a bag that fits my needs perfectly, I couldn’t help but notice that the cost was much higher than I anticipated. Before we all start complaining about how expensive ONA bags might get, let’s be honest – good looking, high quality and stylish bags are not cheap. Manufactures know it, consumers know it. Considering that ONA bags are handcrafted, made from great materials, I do not blame them for marketing their products at their current price points. Brooklyn’s interior has 3 dividers. I only use 2 of them, since it is ideal that way for my Nikon equipment. The interior itself is soft and well padded. 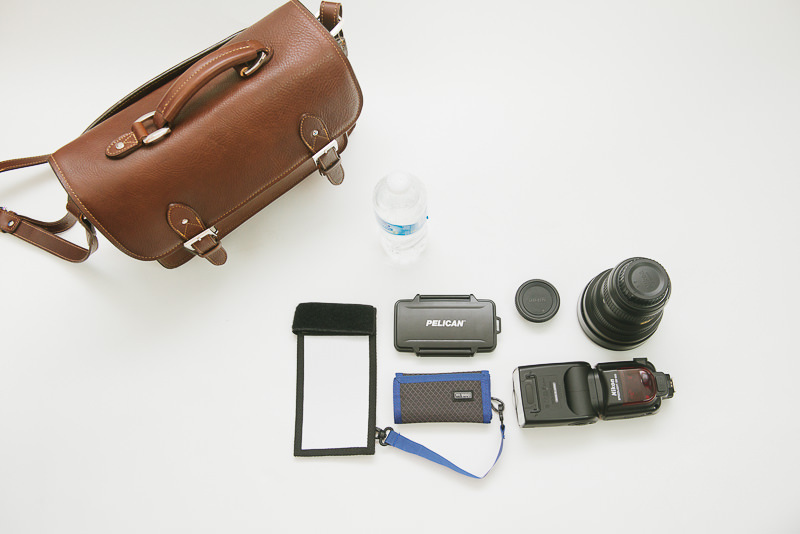 The below photo shows how you can fit a DSLR with a lens mounted on, one extra lens, an iPad and some accessories. 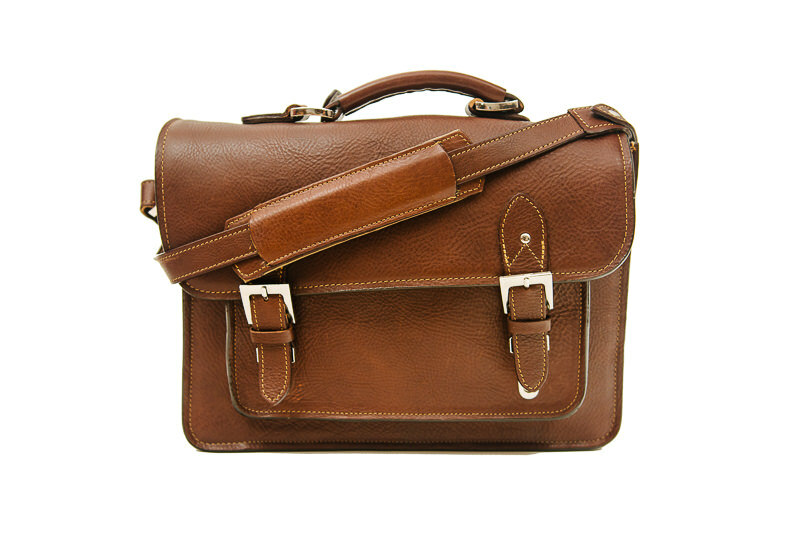 Your accessories can be placed in the pockets built in the front and in the back of the satchel. 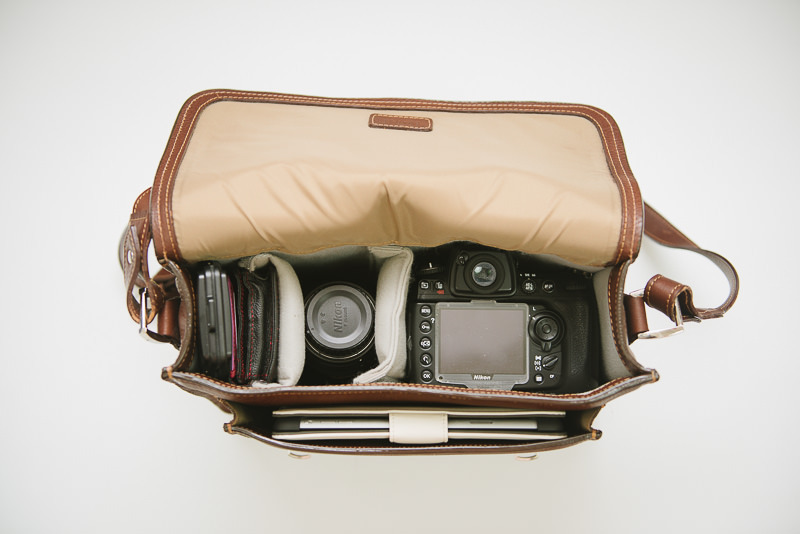 You can also peel off the dividers and readjust the slots to make this bag work for your equipment. ONA Brooklyn also has an adjustable strap, which makes it easier for tall and short people (sometimes very short, like me) to carry this bag around easily, without getting tangled in the strap. 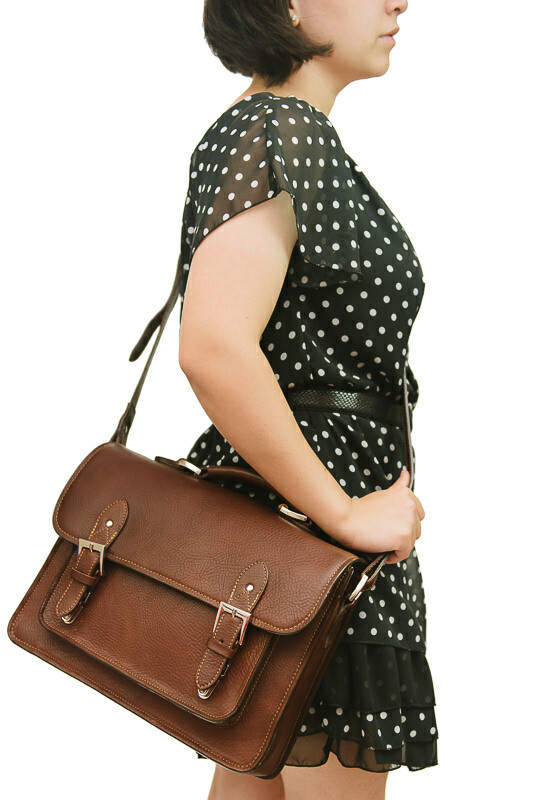 Adjusting the strap to your height is important as it will help to evenly distribute the weight of the bag. 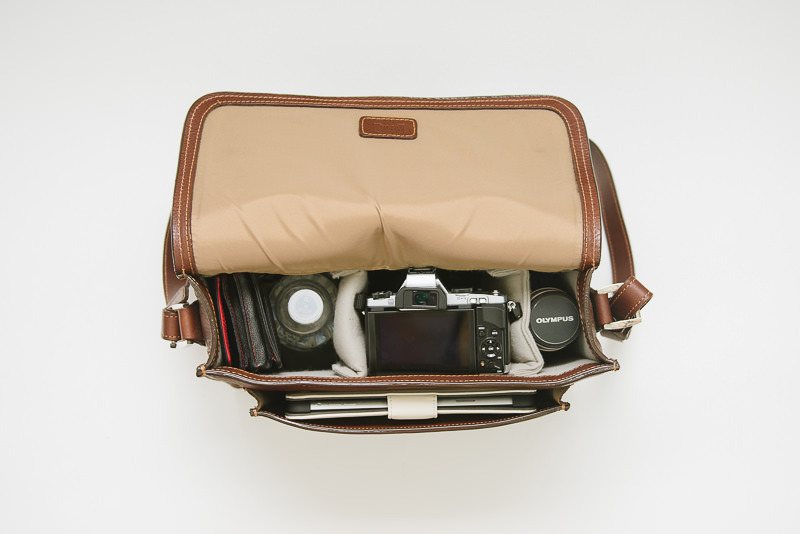 I’ve read a lot of reviews where buyers complain about the quality of this particular satchel. I may be raining down on your parade by stating this, but the bag I got is pristine. No discoloration, stitching is even, it has even leather all over and I like the fact that the leather is a little grainy. Considering that this bag is advertised as a mid size alternative bag, it fits my minimal gear well. I can fit in my Nikon D700 along with a 50mm prime, a wide angle lens like 14-24mm, my phone, my wallet, a bottle of water, and a couple of protein bars. You can fit a prime lens mounted on your DSLR in one of the pockets. For larger lenses, you might need to dismount the lens from the body before putting it in the bag. Although it can fit my iPad mini too, I prefer to limit the content of the bag while working due to weight concerns. Most of the time during weddings I like to carry the camera with me, which empties a great spot for other equipment like a speedlight. If you are photographing a wedding, a speedlight is something that you would want to keep handy, along with a bounce card. 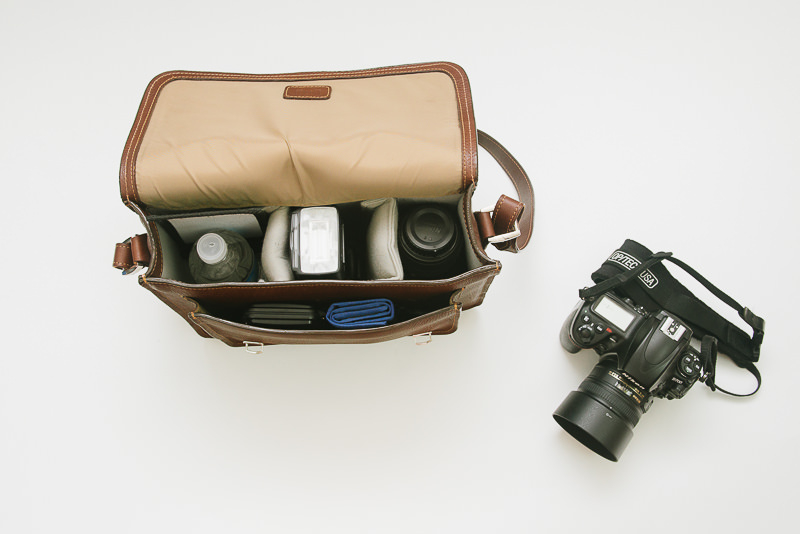 ONA Brooklyn can be used to carry bulkier DSLRs, but for street photography, I find it to be an ideal fit for rangefinder cameras like Fuji X-Pro1 and Olympus OM-D E-M5. 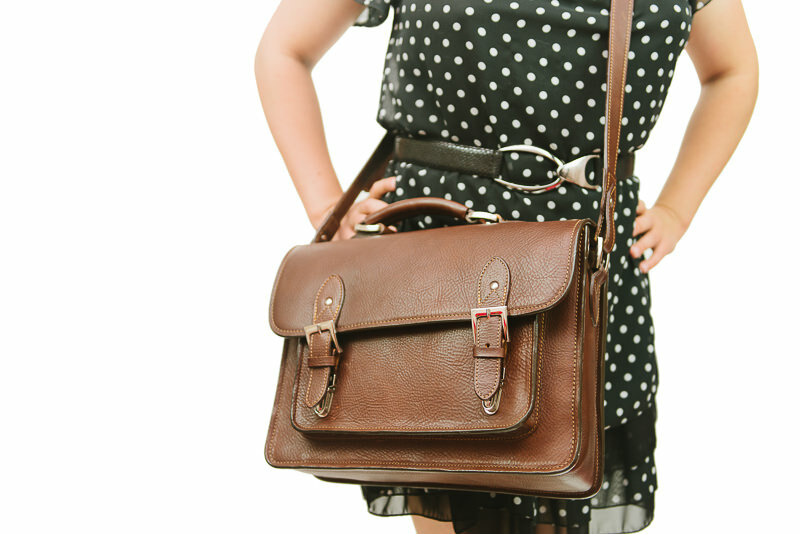 If you need to carry this satchel around for a while, packing it minimally will make your job so much easier. As you may not have a luxury of walk some, stop some. ONA Brooklyn is a pretty bag, and it has a vibe of chic that comes with it. 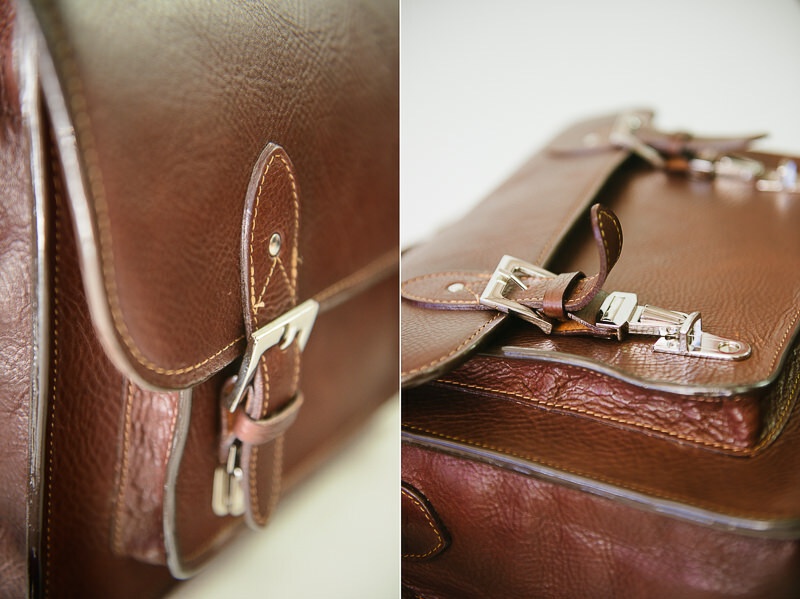 I always get complimented on how nice it looks and no one really knows that it is a camera bag. Which is very good if you are afraid of your gear getting stolen. 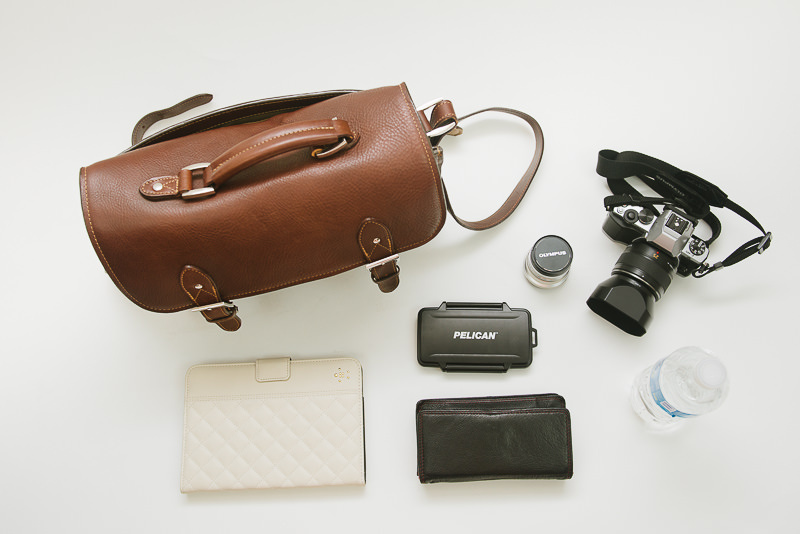 Even if it doesn’t look like a camera bag, it looks like a very nice and expensive bag, nevertheless. So, you still need to watch out for admiring looks and very fast hands, which will still want to swipe your bag from under your nose. This is a great carry-on satchel to board the airplane and will fit everything mentioned about + your iPad. This is not necessarily a bad thing but something I thought I needed to mention for those who buy this bag online. After Nasim gifted the ONA Brooklyn satchel for my birthday, the first thing I noticed was that the color of the bag was not accurately portrayed on their website. Maybe it has to do with the lights that they used for photographing the camera bag, but I personally expected a Camel color bag along with some gold brushed buckles after seeing the image. This is a good lesson to learn for some of us, who think chestnut color is anything but chestnut. The second somewhat negative thing with the ONA Brooklyn was that, it became slightly heavier than I expected when loaded with my gear. But considering the amount of padding it has and considering the particular design style it has, having Brooklyn on a heavier side can be justifiable. After-all, you want your gear to be protected well. But I believe not all of the ONA bags are as heavy as the Brooklyn. Another thing that really emphasizes the heaviness of this bag is the shoulder strap, which is padded. For me it didn’t feel like the pad had enough cushion. Having adequate padding would tremendously ease the stress of carrying a loaded bag on your shoulders. The shoulder pad also “travels” up and down as you move the bag around to photograph your subjects. So, you may need to readjust it time to time. 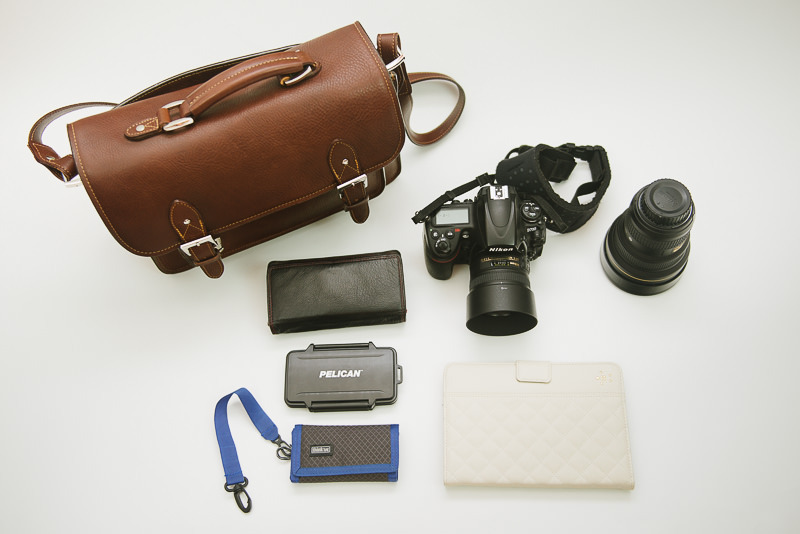 Overall, I really like this bag and would recommend it to photographers as a solid built leather bag. If you have other bags from ONA, please leave a comment with your thoughts below. As always, we recommend our favorite reseller B&H Photo Video for purchasing gear. As of now, the ONA Brooklyn bag sells for $329. Your link is broken to this article …. As below, the link in the email is broken …. NICE looking bag and it looks good on you. Hope you get many years of service from it. Yes, link in email didn’t work but I figured out how to get to the post. $329…but the shipping is free at B&H. Leave it on the kitchen table for your wife to see, and it will be gone by next morning and added to HER collection. Hi Peter! :) Quite a great possibility of that happening. Nice looking bag, but perhaps a case of form over function. Leather is heavy, and shoulder packs press on neck/shoulders muscles leading to pain at the end of a long day. A more functional approach is a waist-belt modular system by Think Tank or other. Cheers. Hi, HomoSapeinsWannaBe! I guess it is a matter of taste, too. I could’t never run around with one of the said belts :( That being said, I know lots of photographers, who prefer the system you mentioned. Lola – I think your original idea of having Nasim carry your equipment in his backpack made the most sense. Keep cooking him those great looking meals in your photographs and he’ll be willing to carry your equipment forever. Agree with the comment about waist belt systems. I use the spider holster for my D800e and lens with a Think Tank skin chimp cage attached to hold 2 other lenses, shutter release, extra cards etc. They balance each other well. The camera is always at hand and I can walk all day without pain. hi Jim! Maybe I will give it a try after all. Event photography. USE A BELT SYSTEM! Free up that other shoulder. I live in Sweden and with shipping and customs the Hawkesmill wasn’t very much more than this. But it is, in my opinion, a much nicer looking bag that is made with much finer materials.